Days Gone Trailer and Release Date | Nerd Much? Sony has released a new trailer for Days Gone, with more gameplay and story to reel us in. This time the zombie apocalypse is coming in lone ranger form, with hordes to fend off at every turn. In this trailer, we see the main character riding a motorcycle to his mission to save his friend. It appears you can also shoot people while on said bike, however the character is then caught by a trip wire and only just manages to get out of that situation. In addition, I am fairly sure he used some kind of camp of people as bait for the zombie, so that he could save his friends. Not entirely sure if that’s accurate. To top it all off, there was an enormous zombie bear at the end. The second one we’ve seen this E3, the first being from Metro Exodus. 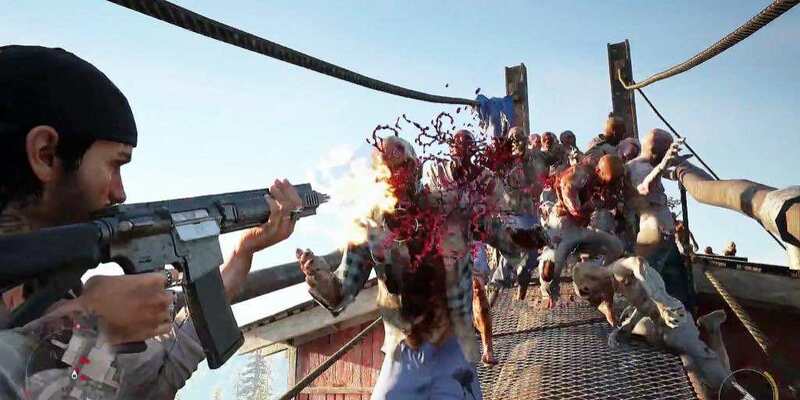 Otherwise, there doesn’t seem to be much the makes Days Gone from other zombie titles. The main character is fairly bland, the usual merc with few friends. Days Gone has a release date of 2017 thus far and is a PS4 exclusive.